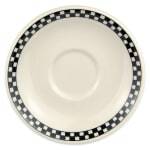 The Homer Laughlin 2821636 Boston saucer is made of china for durability in commercial settings, as well as being scratch resistant. Rolled edges help reduce the risk of chipping. 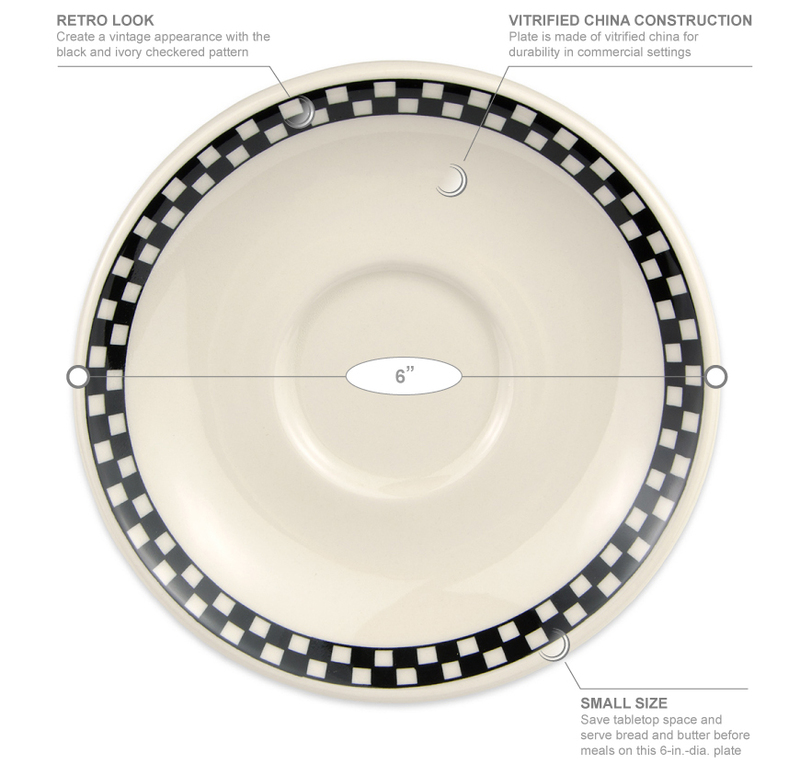 The plate measures 6 inches in diameter, making it perfect for serving bread or side dishes. You can also use it to serve tea when paired with the 1051636 7.75 ounce Boston cup. 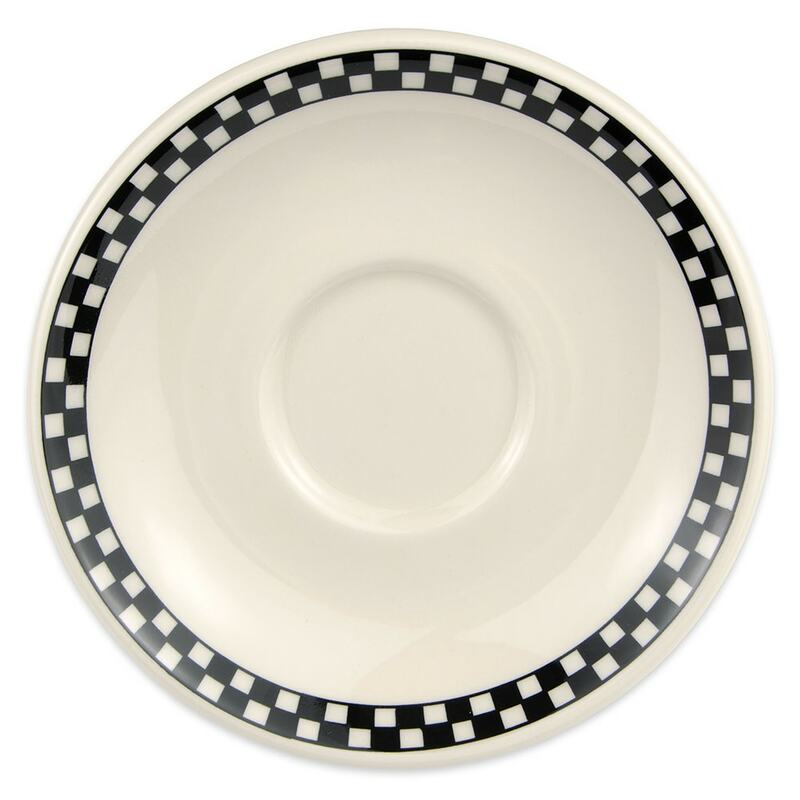 The Homer Laughlin 2821636 Boston saucer comes in ivory with a black and ivory checkered pattern along the edge for a retro feel.